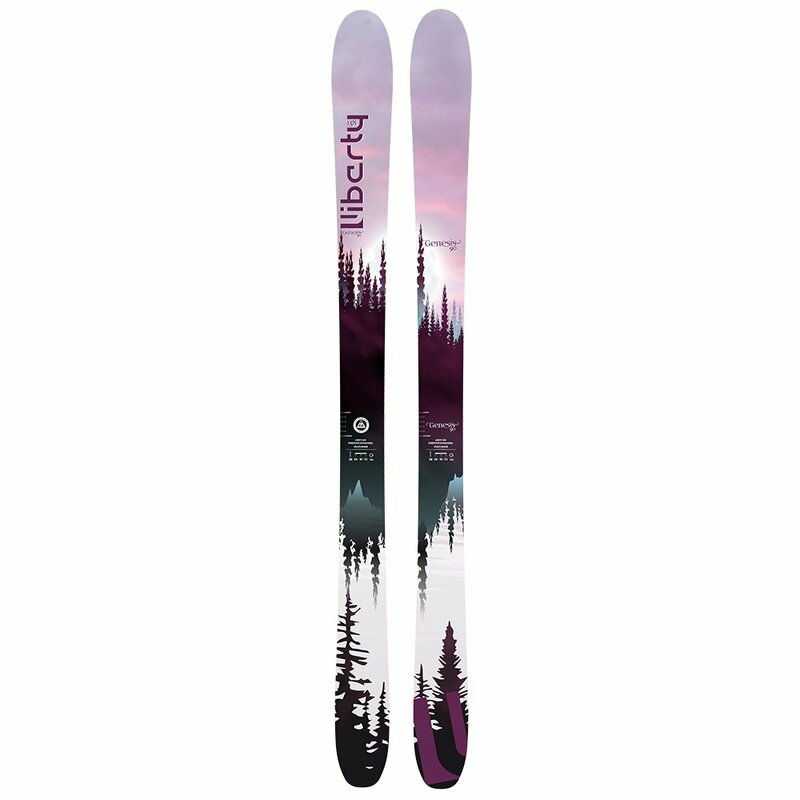 Designed to help you get off the lift and into the good stuff, the Liberty Genesis90 Skis opens up the backcountry while still delivering on days you want to stay on the frontside. That's because the Stealth Rocker Profile is super versatile, providing you with plentiful grip from the camber section underfoot, while the Early Rise Rocker in the tip and tail enhance your agility. Wherever you ride the X Core won't hold you back, it's made from Poplar, Bamboo, and Paulownia woods so you get a lively response and a smooth ride in any conditions.